Have you lost a dear loved one in a tragic accident? Perhaps a beloved parent or sibling was killed in a car crash or a child was killed due to careless medical treatment. Whatever the reasons, if negligence is responsible, you may be legally allowed to pursue a lawsuit against the responsible parties. 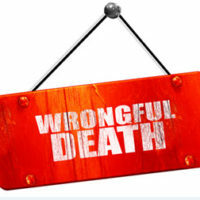 These lawsuits are known as “wrongful death” claims, and Maryland law only gives you 3 short years to bring this type of case. Otherwise, you entirely lose all rights to be compensated for the loss of your loved one. For many, the loss of someone close is just about all they can handle emotionally. The very thought of filing a lawsuit brings up painful memories and can create a feeling of being overwhelmed. This sadly leads many families to forgo their rights and allow the wrongdoers to escape responsibility. At the Law Offices of Todd K. Mohink, P.A., we have experience helping families through myriads of legal dilemmas, and we are prepared to compassionately work through the details of the case in order to obtain justice for your family. If you’ve lost someone close to you, here are some of the key considerations you should understand about how these cases are handled. Family Disputes. In many families, we tend to see disputes. Therefore, one person will come forward wanting to pursue a case, while others may not. When and if a settlement is achieved, family members may argue about who should receive the money. This is a point when it’s important to keep compassion in mind. Working with a skilled attorney can help to diffuse these emotions and keep perspective. Cases Are Often Brought at the Last Minute. Sadly many people wait until it’s too late to talk to a lawyer. Even those who take action in time still tend to wait until the last minute to talk to a lawyer. While it is possible to save a case days before the statute of limitations runs, it is never a good idea. It is an unnecessary risk, and it can make the case take longer to resolve. You should feel comfortable approaching an attorney even early in your grief cycle. While it may be painful to discuss, a compassionate attorney can gather the information and take over all aspects of the case, letting you rest easy knowing it is being taken care of. Complex Issues. Because death is involved, you can bet any defendant or insurance company is going to fight hard to avoid having to pay. The value is often much higher than other types of insurance claims. Therefore, it’s important to work with a local attorney who will take the time to caringly sit down with you and your family to help you understand what happened, why it happened, and who is responsible. Sometimes understanding is a big part of getting closure. For a completely free and confidential case evaluation, call the Law Offices of Todd K. Mohink, P.A. today. Our Baltimore legal team is eager to assist you immediately.